All Allegiance opens Friday, December 1st at Front/Space! 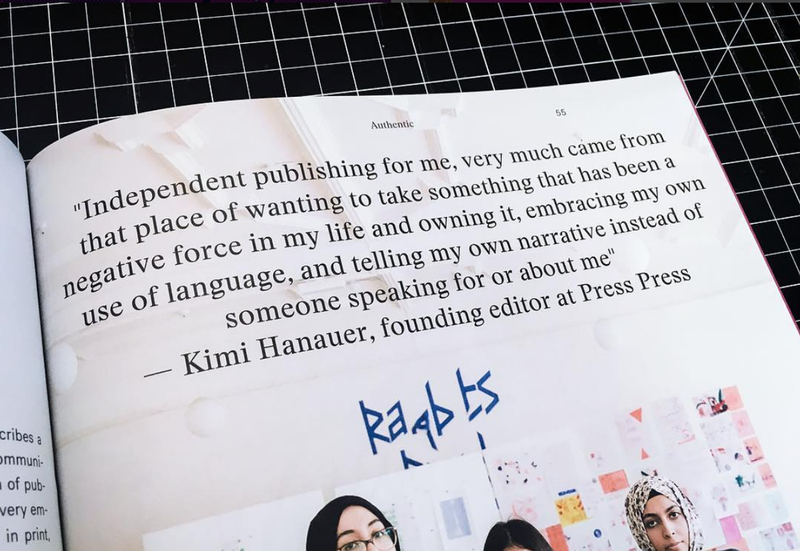 Catch Press Press at the Chicago Art Book Fair and for our workshop! Scope out our newest publication, Real Real! 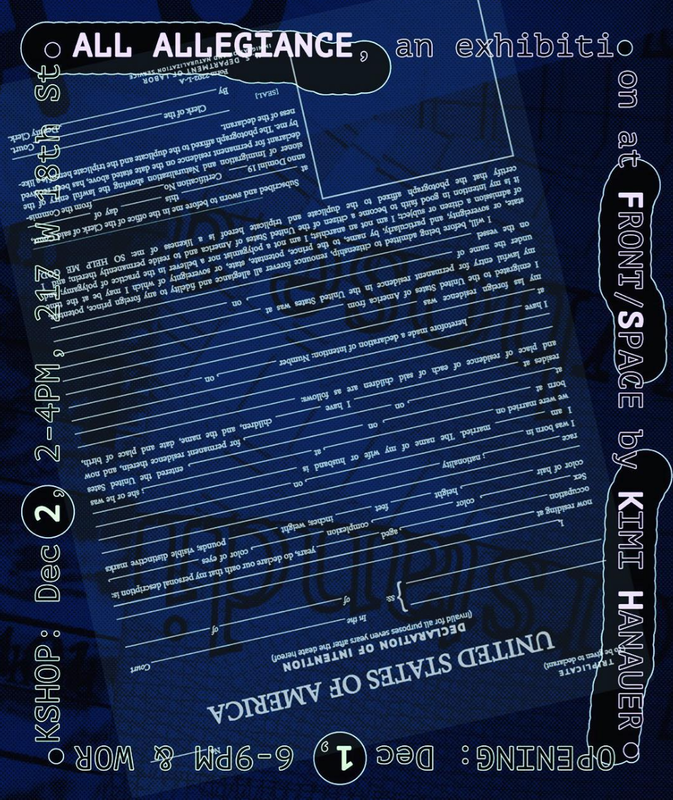 All three issues are part of the most recent exhibiton at Guest Spot @ The ReInstitute! 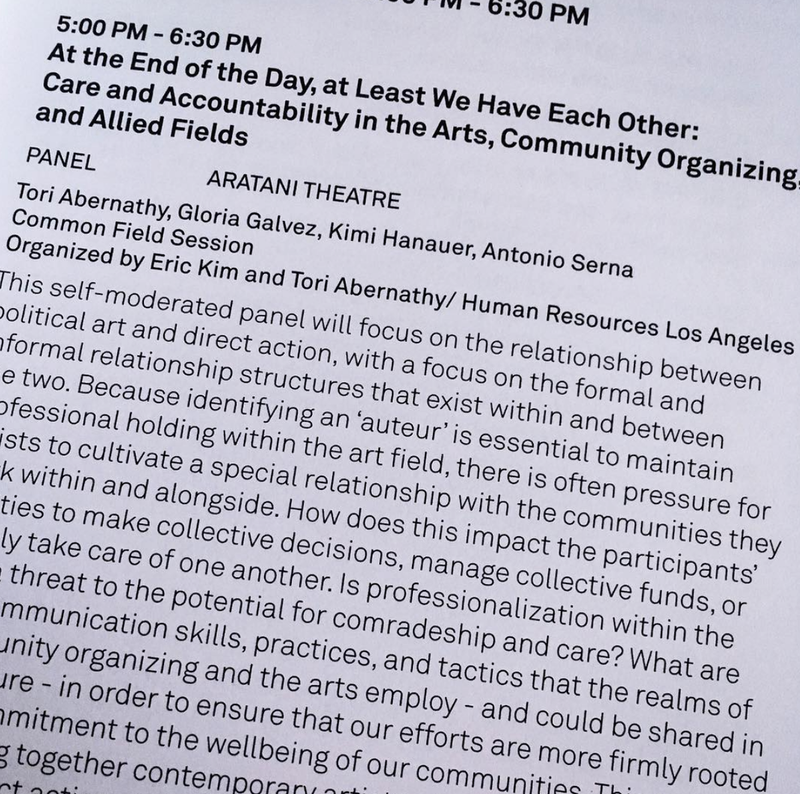 Spoke on accountability and care at the Common Field Convening. 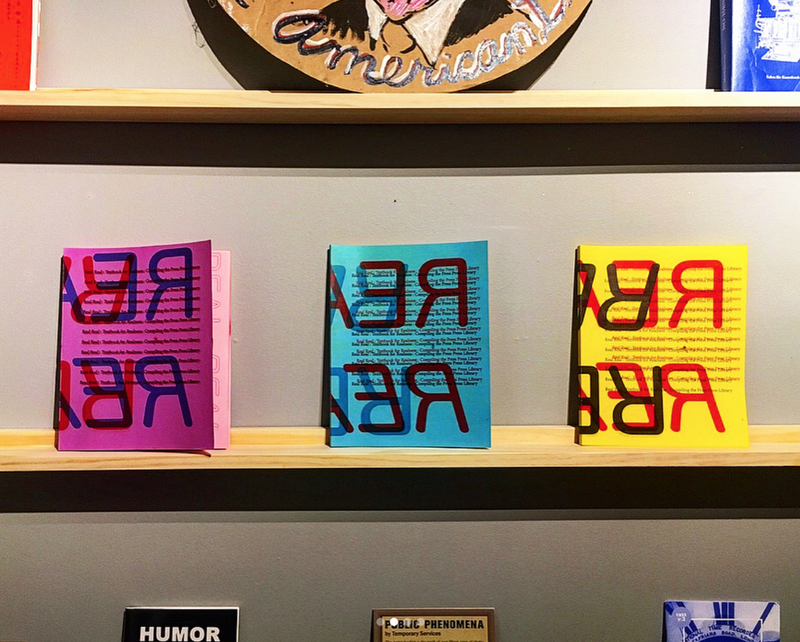 Get some Press Press at Printed Matter! 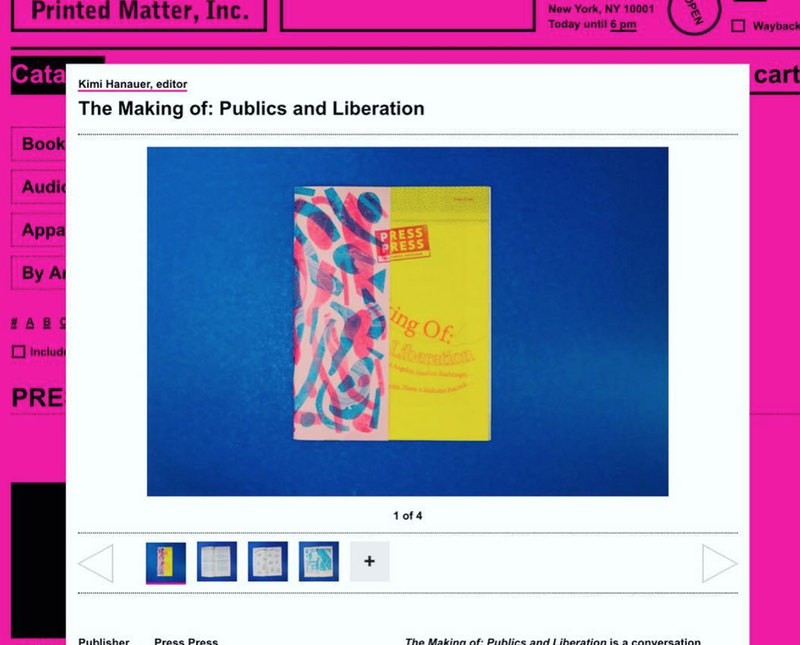 Some final copies of The Making Of: Publics + Liberation are at Printed Matter! Public Studio Announcements at Press Press! 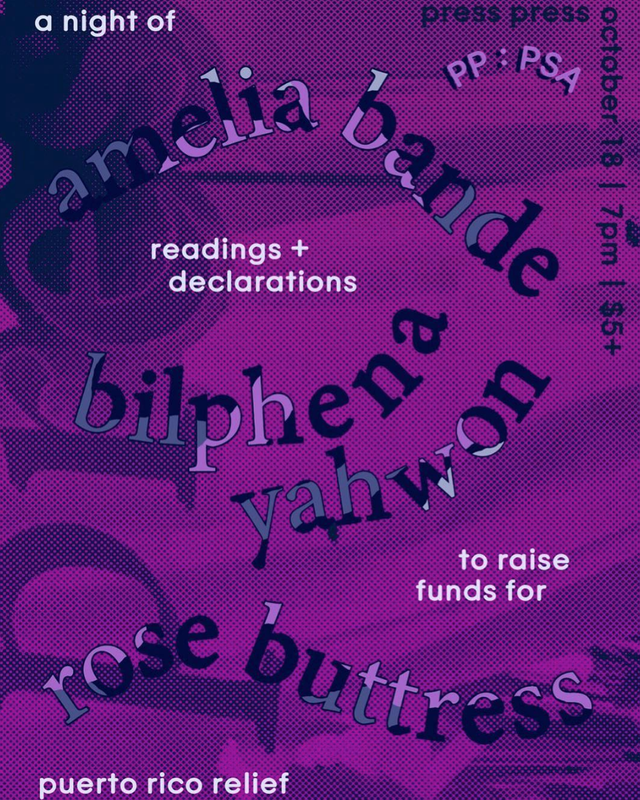 Last night a PP, readings by Amelia Bande, Bilphena Yawon, and Rose Buttress! The new Protein Youth Report! Excited to be the new artist in residence at the library for the year! 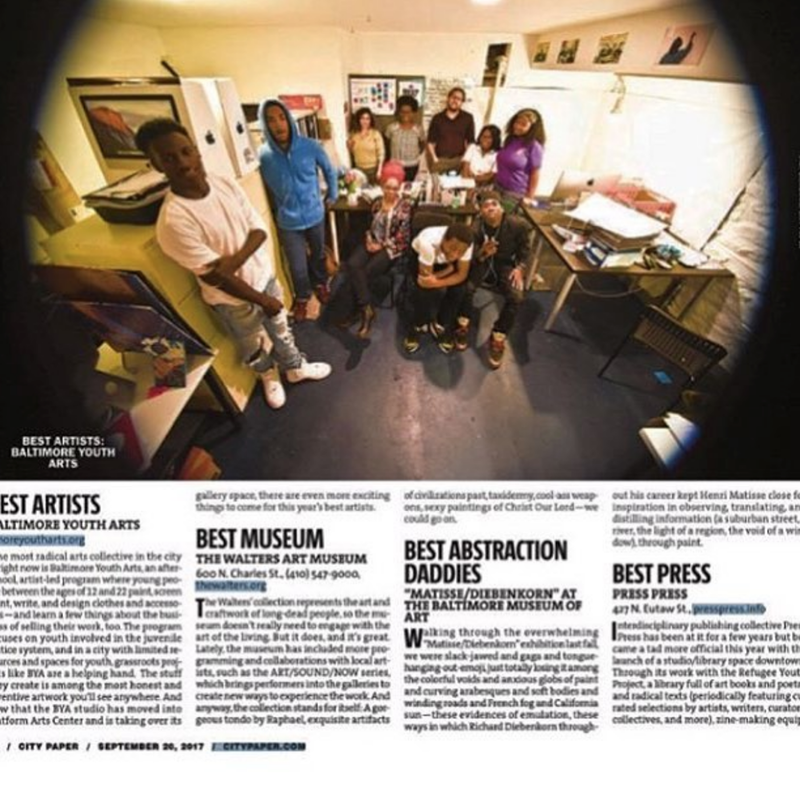 Baltimore City Paper Best of Baltimore: Best Press!! 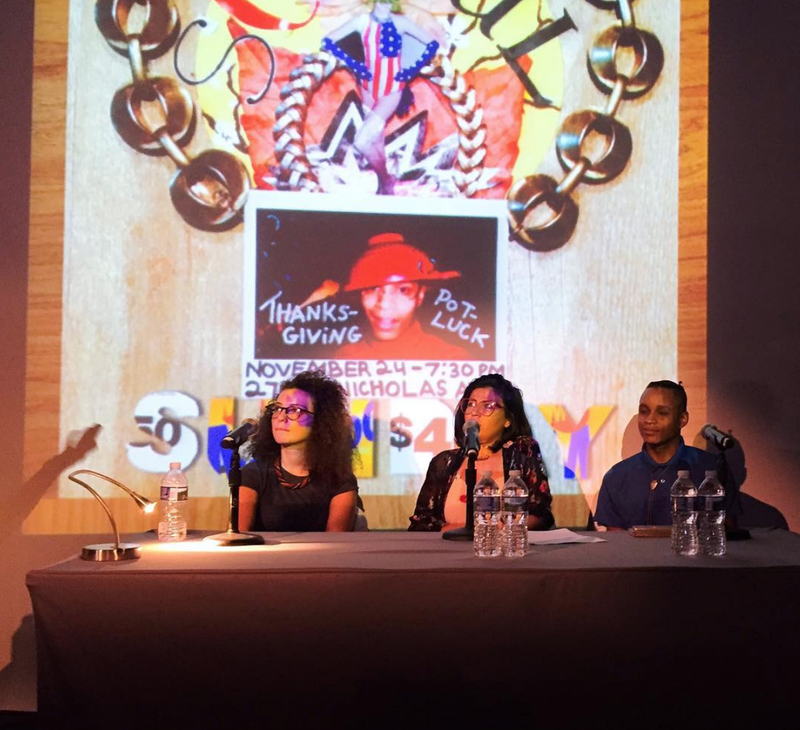 Our panel from the Blonde Art Books Fair, "Artist Run Reading Spaces," and some books.